ZIRH International has been in operation since 1995. ZIRH is an affiliate of Shiseido Cos. (America), Inc. and is headquartered in New York. 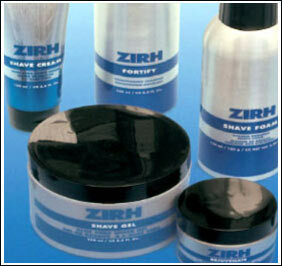 ZIRH (rhymes with "sir") is a leading worldwide manufacturer of men's skin care and shaving products. Our focus is on quality and convenience. There are a lot of products to choose from, but no other company has ZIRH's expertise or our committment to serving you. ZIRH is available in some of the finest department stores and specialty stores, or shop securely here at zirh.com.